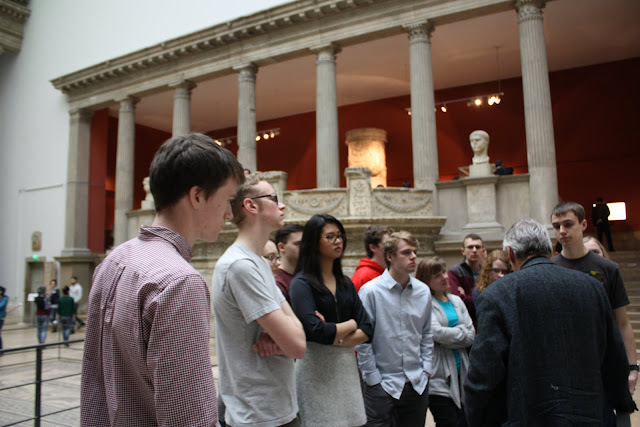 Our last day in Berlin involved a trip to Pergamon, located on Museum Island. ​​​Our last day in Berlin involved a trip to Pergamon, located on Museum Island. 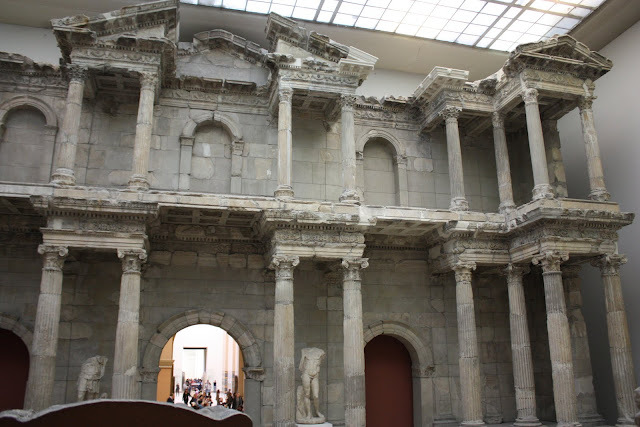 Museum Island is home to five internationally significant museums, the Altes Museum, Neues Museum, Altenational Gallery, Bode Museum, and Pergamon Museum. 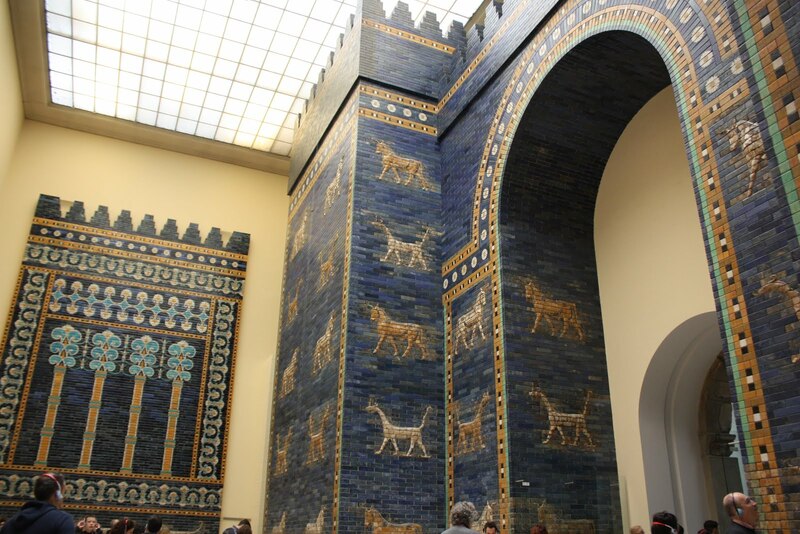 The Pergamon was built in 1930 and then was severally damaged during the World War II. In 1945, many loose items in the Pergamon were taken by the Russian army and they remained in Russia. The return of these items was arranged by a treaty between Germany and Russia; however, it's more than a decade later and the Russian government has yet to return the items, citing their own anti restitution laws. Although the Pergamon was undergoing construction, we were able to see Babylon’s Ishtar Gate and the Processional Way and the Market Gate of Miletus (2nd century), and the Mshatta Façade (8th century). After the museum we went and ate a staple German street food currywurst. 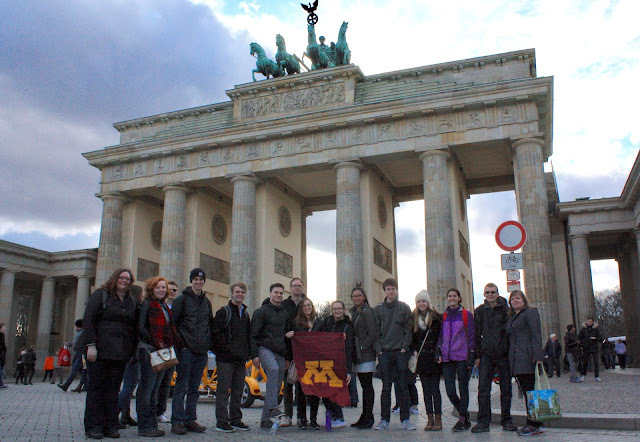 In the afternoon we went to visit the dome of the government building in Berlin, the Reichstag. The Reichstag was originally built in 1896, but was destroyed in a fire in 1933. It was rebuilt during the 1960's, and was fully restored by 1999. The building is now used as the meeting place for German parliament. 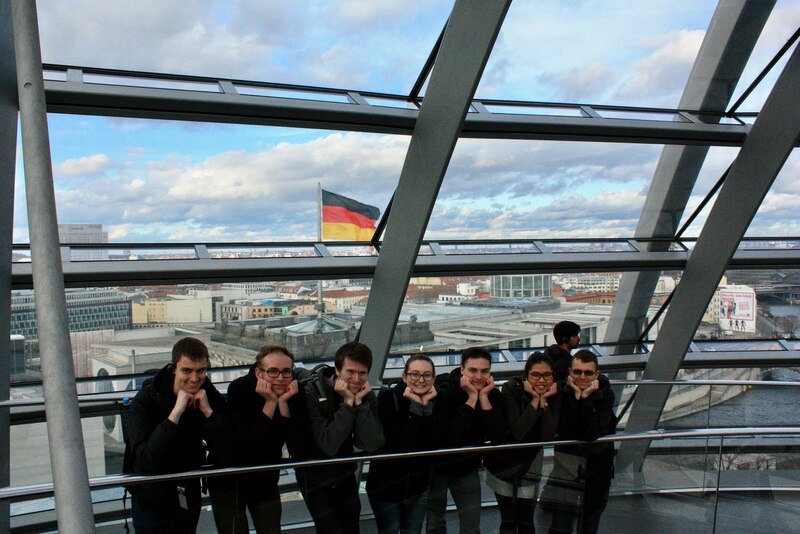 When we got to visit the Reichstag, we were able to ascend the ramp that runs along the inside of the dome all the way up to the top. The glass dome on top of the Reichstag is open and free for the public to visit. This symbolizes that the people are above the government, and the fact that it's made of glass represents transparency within the government.